I can see that Tempered stuff is barely changed from normal because the immediate comparison point isn't Apex status (and, let's be frank, over half of those were comically hostile to most weapons anyway and the optimal targets tallied up to two) but Hyper status, which had the health increase but no real weapon increases nearly corresponding to it resulting in single-player torment. It's still not a great solution as MH never really has had for endgame, but the lack of absurd targets or build-changing grinding in endgame definitely feels lacking (compare to the super quests in 3U, 140s and G-Crown junk in 4U, uggh do I have to mention deviants). At least the post-launch stuff picks up the slack, though it's sure taken multiple months past PC release to actually reach one of those instead of leaving one in immediately (Tempered Deviljho's out pretty soon... for all of a week). The game in general feels undertuned for multiplayer scaling anyway (and the story quests for Elders have defanged ones and cats are stupid good now and the roster lacks for aggressive combo-based monsters etc etc yawn yawn). Still immensely fun and all, but hardly hooking as a series installment despite being the break-out hit. It’s been nine months since Monster Hunter World launched and by my count Capcom has added four monsters since then, with one of them being a re-skin and another a promotional tie-in. Didn’t the development team say they would be adding new stuff regularly? I hope all the real content isn’t being saved for a MHW Special Edition, because that crap is not going to fly with the international audience that helped make it the best selling game in the series. They're also trying to pass off the Arch Tempered monsters as new, even though they rarely even get a new attack. The new AT Zorah sounds like a parody to me. People thought he got some new attacks, but no, they're all just old attacks that he rarely used because the fight was over so quickly. He just has bigger numbers and you actually need to repel Nerg when he shows up. I wouldn't mind the obvious filler DLC monsters as much if the base game wasn't also bursting with obvious filler monsters. The two remaining monsters from the old leak are Oroshi Kirin and Alatreon, and I expect G-Rank DLC after that. The G-Rank roster is going to have to pick up a lot of slack to get me to care about it at all, but I'm really not very optimistic. If older G-Rank games are any indication, the vast majority of the new monsters are going to be subspecies, which is really hard to get excited about when the base forms of the new monsters are already so boring. I heard that Capcom massively underestimated people's monster count expectations, which played into the short development cycle and a ton of their people working on DMC5 pretty poorly. I'm not really sure how they thought the tiny roster wouldn't draw any ire since all they ever released in the US for years were Ultimate versions with extended monster rosters, and even in the regular versions of prior games that Japan would eat up before every Ultimate, the roster was way bigger than in World. Rest assured though, they aren't saving content. What we got when the game launched was literally everything they finished. It *is* a fairly regular release schedule for the stuff they are adding, but apparently all they've got the staff for right now is shiny, buffed versions of things already in the game. Nothing they've added so far has its own unique skeleton from what was in the base game either. Anyone else on TT playing Monster Hunter Generations Ultimate? I transferred over my 3DS character and doing some G-Rank stuff, and it's pretty great. Feels like sinking back into a piece of nicely worn furniture. But with all this G-Rank stuff comes a whole new set of G-Rank gear I can craft. I'm thinking I might try to use another weapon, but having trouble deciding. Also, maybe I don't want to ever use anything other than Great Sword, forever? Also, a "massive expansion" is coming in August of 2019 in the form of Ice Bourne. Please look forward to it. 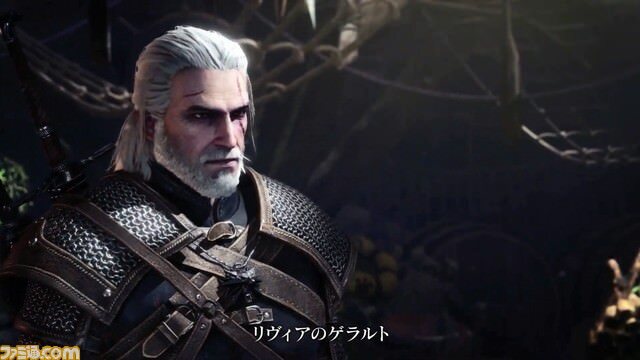 Between Soul Calibur VI and Monster Hunter World, I am happy to see that Japan really likes The Witcher 3, too. Now if we could just get some kinda Elder Scrolls collab, too. I still need to buy Monster Hunter World. In the meantime, I hope you guys are excited for more reheated AT elders, because that's all we're getting for nearly a year since they apparently pushed Oroshi Kirin and Alatreon back to the expansion. I never really enjoyed the Alatreon fight anyway and given how much everyone just loves fighting Kirin in World... I am perfectly okay with them getting put on hold so the dev team can actually expand the game. I'm about a thousand times more hype for Nargacuga than I was for either of those two. Nargacuga and Zinogre were the two I wanted to see return most so here's hoping the expansion will include a lot of monsters. Geralt’s profession as a monster hunter, complete with craftable potions, oils and bombs, should make this crossover really cool, if Capcom goes the distance. I want to fight a leshen with my palico dressed as Triss. Also hope Cirilla is part of this crossover, too. I want to fight a leshen with my palico dressed as Yennefer. That's what everyone wants, but Great Jaggi and cousins are lost forever. This was a big reason why I imported Portable 3rd back when I had a used PSP. Monster Hunter World is having a one year anniversary event this weekend. I popped in the disc last night to update the game and try to remember which buttons do what, when I noticed there was a Final Fantasy crossover quest from some time ago. It took me three tries to beat the Kulu Ya Ku due to it getting a very large attack boost in addition to total immunity to traps and status effects, which I suppose is fitting for a FF tinged boss. Then I tried the Behemoth fight and gave up shortly after one of the NPC’s said to use another player to get it’s attention and realized it was a raid boss. You'll be hard-pressed to solo Behemoth, yeah. It can be done, but it takes significant practice and mastery of your chosen weapon. That said, you can make the armor set and weapon without ever clearing that first encounter. It's difficult but you can cut off its tail and carve it, or (key word there, or) break a horn, or a claw. 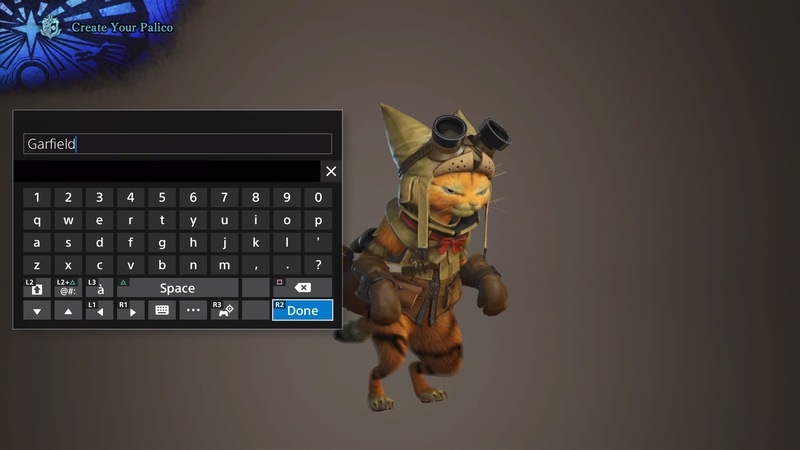 You can bring your Palico equipped with its Plunderblade gadget. Then when you get bored or think you've done too much damage, open your menu and hit Return from Quest with all your spoils (including from breaks) intact. Breaking its horns and claws is best done with something like a bowgun with the Partbreaker/Destroyer skill, Sleep ammo, many Mega Barrel Bombs, and some Bomber decorations (can't remember the exact skill name). It takes too much effort, but it can be done. Behemoth has no super rare parts to mess things up. I only recommend to Return from Quest because if you do end up doing enough damage to complete it, you get the full kill quest afterward and his AI gets a couple more options to work with. Last edited by Oathbreaker; 01-25-2019 at 03:11 PM. Eh, I have enough armor. The one big event quest is against a very large, Arch Tempered level Great Jagras that barfs decorations. I’ve gotten some pretty good ones from running it a number of times, like Vitality, various elemental attack boosts and even a Defense. First one of those in 165 hours of playing this game! Um guys, you all should really play the Witcher event. It’s got a lot more going on than I had anticipated. Dialogue options with side characters, multiple side quests inside the main mission, a gosh darn Leshen! You learn more about the researchers and handler in this one special quest than you do all of the main game. As neat as this Witcher colab is, the two series do not really gel together gameplay wise as much as you might think. It’s not fun having to go through all the steps of the investigation every time you fail to kill the leshen that has 10,000+ HP and behaves completely different from any other monster in probably the entire series.